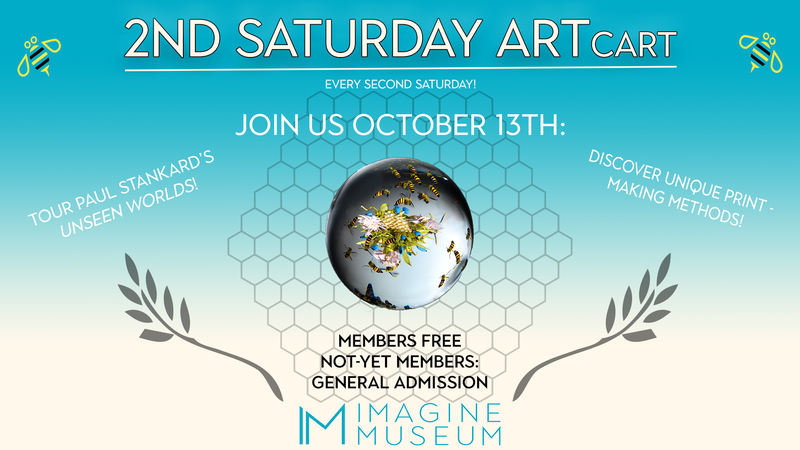 Inspired by innovation and collaboration, the Imagine ARTcart brings families together once a month to explore art and creative thinking in fun and exciting ways. Massive mandalas, exquisite corpses, and silly string sculptures. You never know what the ARTcart might bring to town. Get inspired during a tour of Paul Stankard’s Unseen Worlds glass art exhibition. Then discover printmaking methods by creating scenes from nature using bubble wrap and your imagination.